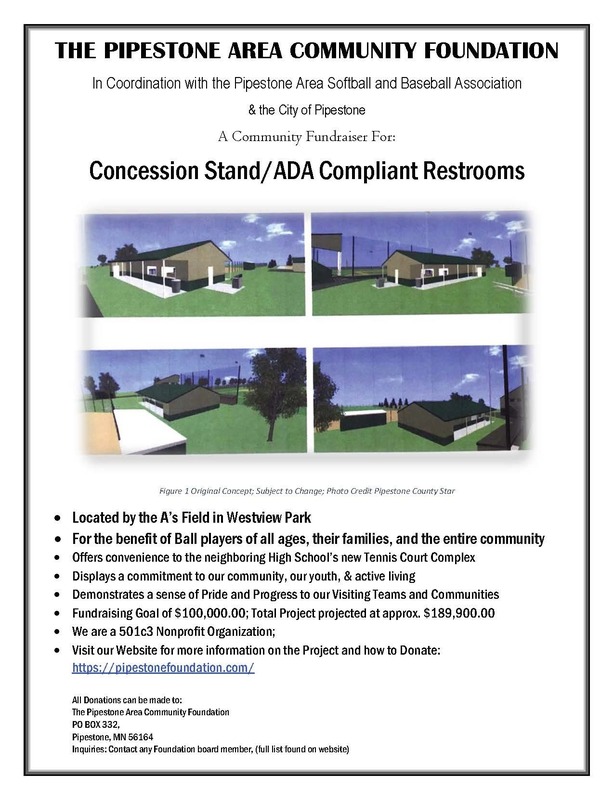 The Pipestone Area Community Foundation is helping to raise funds for the New Concession Stand & ADA Compliant Restrooms Project which will be located in Westview Park near the Pipestone A's Field. This project benefits athletes of all ages, their families, and the entire community. All donations are tax deductible, and can be made to the "Pipestone Area Community Foundation." For more information or to make a donation, please contact any of our 2018 PACF Board Members found in the "About Us" tab on our website. Any and all donations are greatly appreciated! Our hopes are to raise the funds in time to start construction and have the project completed by the start of the Spring Season #OnlyinPipestone! The ceremonial dedication for the Hiawatha Lodge took place on Sunday, June 26. The property was officially transferred to the city of Pipestone effective May 25 by the Pipestone Area Community Foundation (PACF), the nonprofit entity that raised the $415,000 needed to construct and fully equip the lodge. The Sunday ceremony provided an opportunity for PACF to thank the donors for making the lodge possible; to thank the Hiawatha Club for donating the 43-acre property to the city; to thank the city and Public Works department for its caretaking; and to dedicate the building to Pipestone’s past, present and future. “This is a Pipestone project, a project dedicated to the citizens of Pipestone today, dedicated to the people of the Hiawatha Club and the Hiawatha Pageant performers who for years showcased this place, dedicated to the people who still come back to Pipestone and call it home, and dedicated to all the Pipestone people yet to come,” said Tim Haubrich, PACF board president. Haubrich said it was the PACF’s hope that the lodge and grounds would forever mean a special place for all who visited and used its amenities. 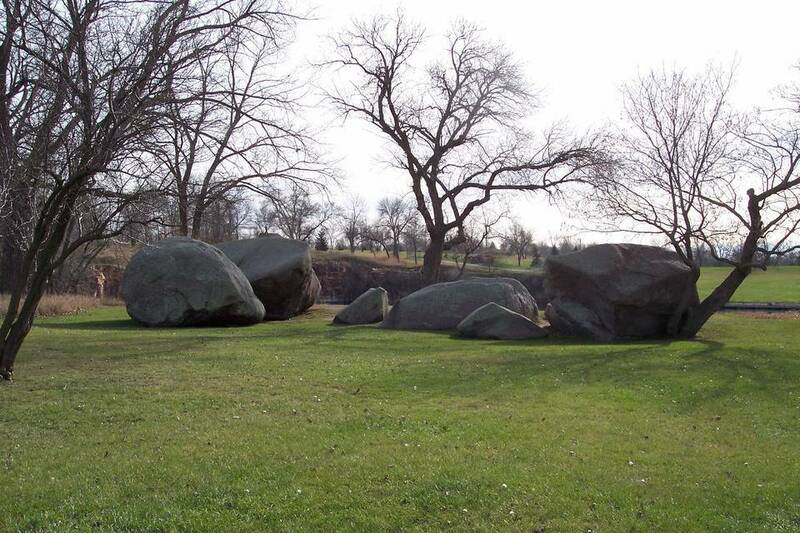 Four speakers followed Haubrich, including Greg Carrow, who spoke on behalf of the city’s Hiawatha Pageant Park Commission, the city’s subcommittee that oversees and advises the City Council on Hiawatha Pageant Park operations and improvements. The city formed the committee in 2014 following the Club’s donation of the grounds. Carrow thanked the PACF, the donors and the Hiawatha Club, which also donated $96,000 with the property to improve the park. “That’s been very helpful for some of the things we’ve done out here,” Carrow said. Some of those things included the harvesting of old trees and the planting of 30 new mature trees. The lake was stocked with fish earlier this summer by the Department of Natural Resources and the old costume house was transformed and remodeled into a picnic shelter with another heated space that could be used as a warming shelter for future skating. Carrow said they’re currently working on a walking trail that surrounds the property and can be accessed at any point. Mick Myers, speaking on behalf of the Hiawatha Club, reminisced about the work the 40 Hiawatha Club families put into performing the Song of Hiawatha Pageant more than 500 times over 60 years from 1949 - 2008. 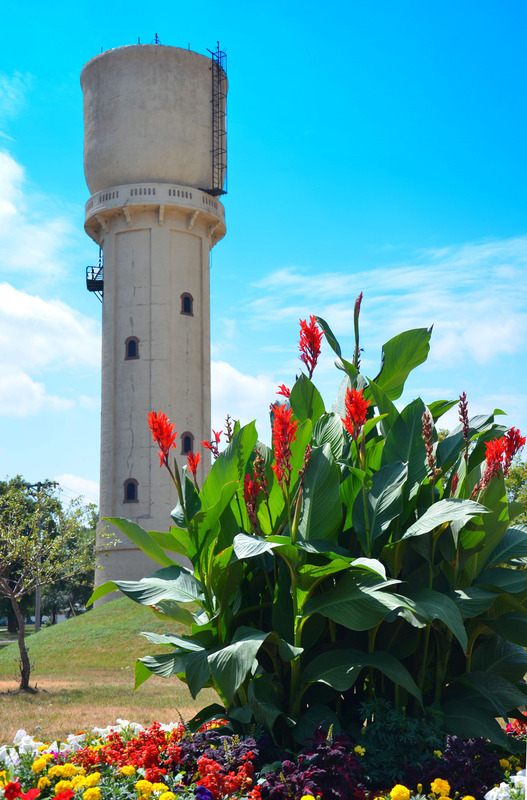 Laurie Ness, who said it would “tough to even begin to show the appreciation the city has. “As a representative of the city of Pipestone, I graciously accept your gift, and accept the responsibility of caretaking,” Ness said. The Pipestone Area Community Foundation is dedicated to promoting a greater quality of life for the Pipestone Area. We achieve this by helping to fund specific community projects or area organizations. These projects and organizations all enhance the community we consider home; making a better life for present and future generations. 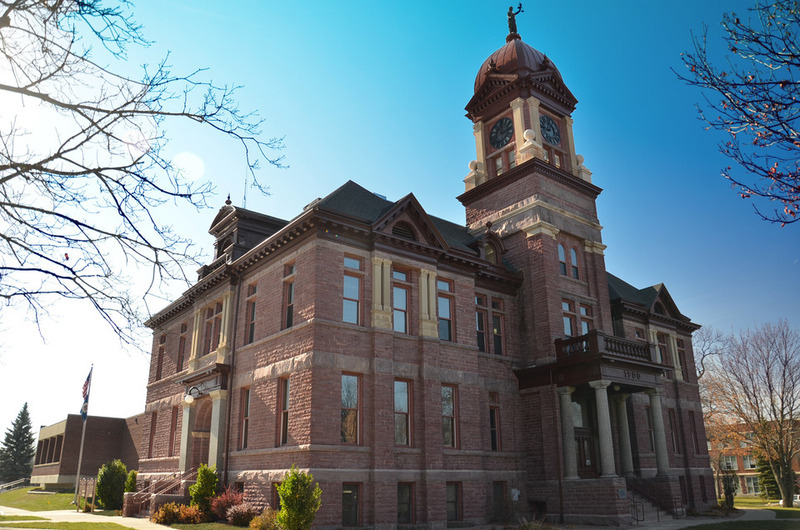 The Foundation serves as a central source working to meet the various needs of the area. With your support of the Foundation, we will assure that contributions are put towards projects that meet our goals and mission. Dedicated to promoting a greater life for present and future generations by meeting needs and creating opportunities in the Pipestone area. Copyright ©2019 Pipestone Area Community Foundation. All Rights Reserved.